You can be a Wonderland Cookie Artist anytime, anywhere, and anyplace! 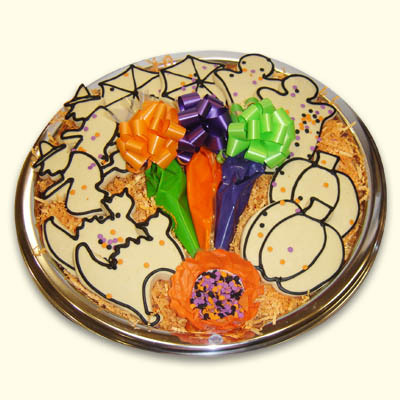 Our Halloween Collection includes: Pumpkins, Ghosts, Cats, and Spider Webs. 10 large cookies baked and ready to decorate, pastry bags filled with colored icing, and fun sprinkles for décor. Comes packaged on a tray with a snap on lid. A creative treat that is great fun for all ages.